Nord Drivesystems’ industrial gear units have been developed according to the unicase housing principle. The unicase is a one-piece housing, into which all the bearings are integrated. The finishing of the unicase housing is carried by advanced CNC machines. The unicase housing concept features precision, rigidity and strength. 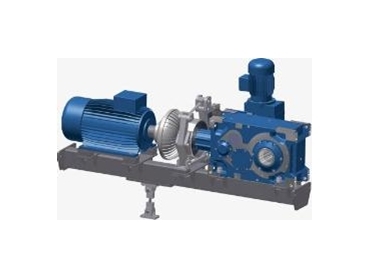 There are no dividing seams between the drive and the gear unit housing which are subjected to transverse forces or torque. The unicase housing principle allows the shaft axes to be staggered, resulting in a compact design, which allows the use of large roller bearings to ensure a long operating life.